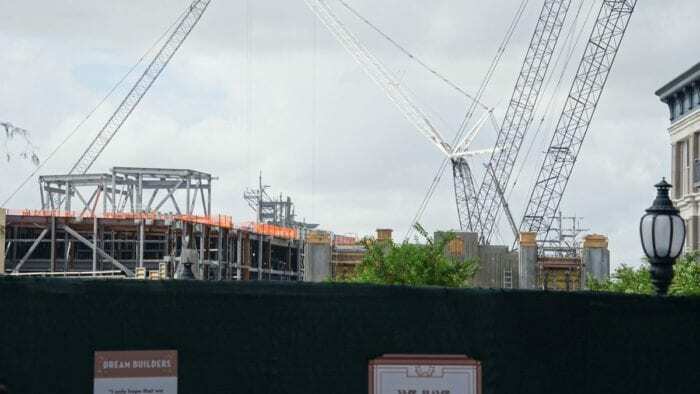 Just a few days ago we got word of New Star Wars Galaxy’s Edge permits for work to begin on the ride mechanism for one of the two Galaxy’s Edge attractions in Disney’s Hollywood Studios. 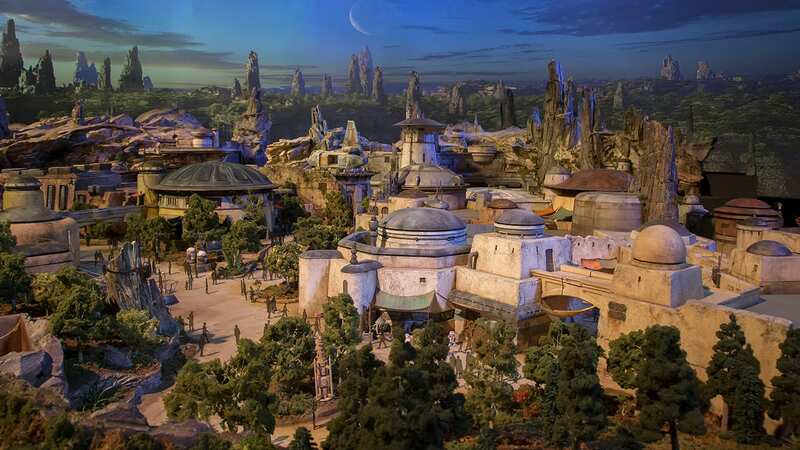 Today we got word of another permit that was filed by Disney, this time it’s listed as: “Exterior Architectural Ornamentation and Scenic Elements.” Both are filed for “Project D” which is the code name for Galaxy’s Edge. 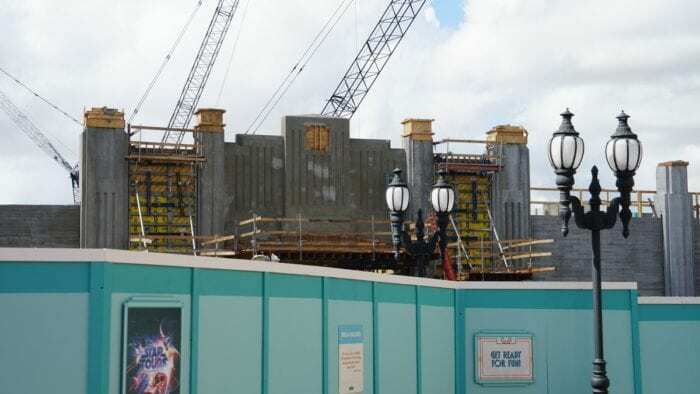 It looks like we are in good hands too because The Nassal Company is listed on the permits, and they’ve done excellent work on the theming for many Universal projects like: Wizarding World of Harry Potter and Spiderman in Islands of Adventure. 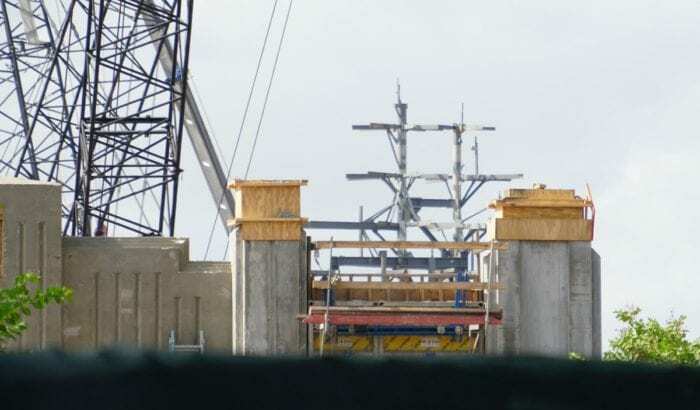 When looking to the sky we can see the famous rock work that’s to be built throughout Galaxy’s Edge. 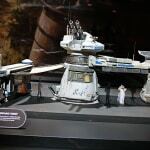 We can see how much height and detail we can expect when it is finished from the D23 Expo Model. 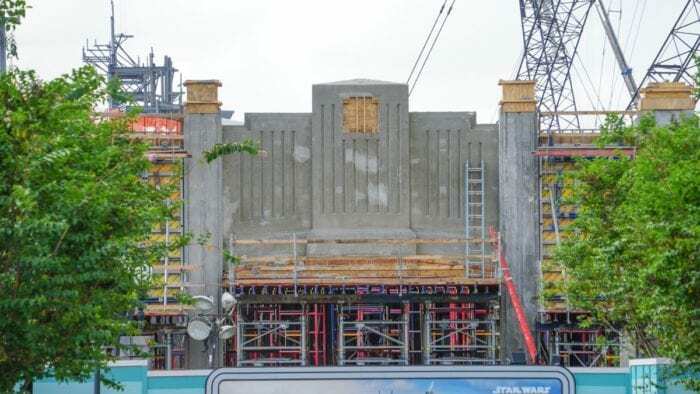 Though expect the Disneyland version to have higher rock work that the Hollywood Studios one due to the fact they have more tall buildings outside the park to hide from ruining the ambiance. 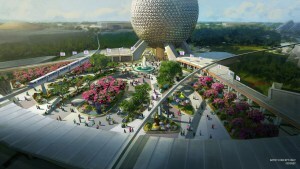 How much further ahead is Disneyland’s Galaxy’s Edge than Walt Disney World’s? 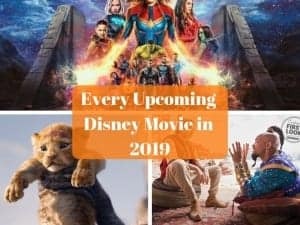 This is a big question that’s been on the minds of many, especially seeing that the Disneyland version is so much further ahead. 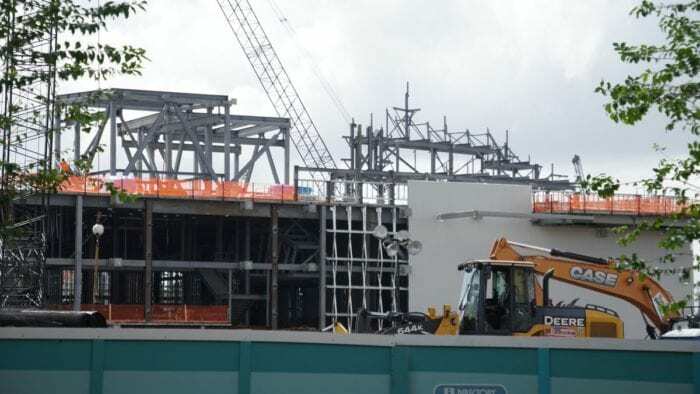 So while there is still no official word on the opening dates for either Star Wars Galaxy’s Edge in Disneyland or in Hollywood Studios, is safe to say the Disney World version is still a good 4 months behind, though gaining speed. We know that the Disneyland Galaxy’s Edge will be open before D23 Expo, with some insiders saying as early as an April/May 2019 opening. 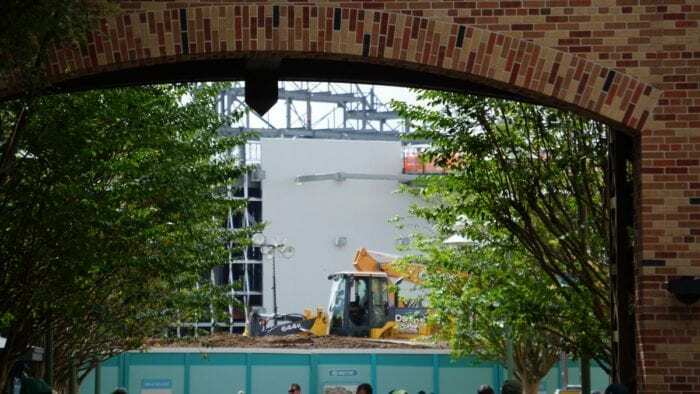 Pandora had lots of soft-openings to work through the bugs, and Star Wars Land is going to be on a whole other level and will need some time to work things out. 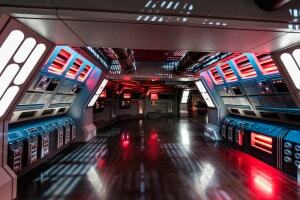 The Hollywood Studios version we know will open second. 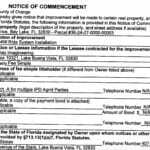 If you look at the 2 latest permits submitted, as well as previous ones, the expiration date on the construction work is listed as September 26th, 2019. Of course it could open sooner, but around that date is when you should expect an official opening. 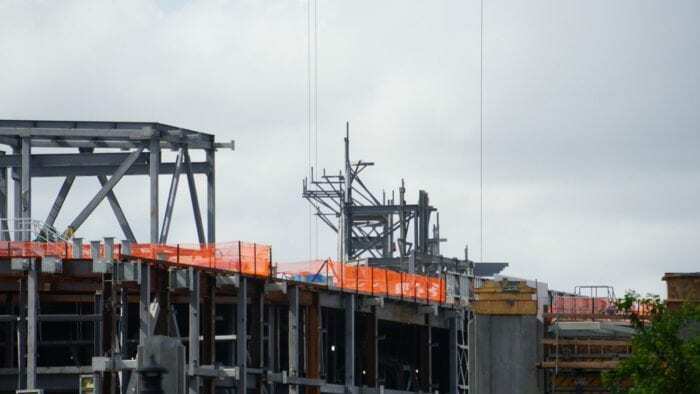 Stay tuned for more Star Wars Galaxy’s Edge construction updates soon! 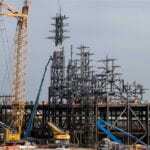 I want to know what you think about the Star Wars Galaxy’s Edge construction update for October. Do you like the entrance tunnel? When do you think the opening days will be? Let us know in the comments section below!